As a licensed real estate and mortgage broker with accreditations from the Real Estate Council of Ontario and the Financial Services Commission of Ontario, Boyd Acheson specializes in the buying and selling of residential homes in London, Ontario. With more than 15 years of real estate experience, Boyd has become a leading expert in the London real estate community. Time and time again, Boyd’s professional success shows that he is passionate about helping people achieve their real estate goals. Boyd was recognized as Sutton Preferred Realty’s Top Producing Agent in 2006 and has consistently been among the Top Producers year after year. Prior to working in real estate, Boyd had a 25-year sales career at Wajax Industries Ltd., a Canadian national equipment manufacturer and distribution company located in Toronto, Ontario. 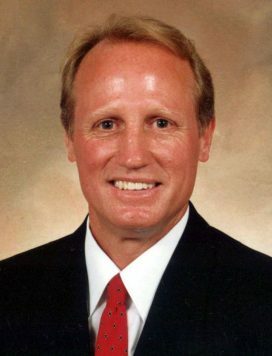 Boyd’s career in sales allowed him to touch a number of different areas of business including advertising, website development, organizational skills, traveling, networking, mailers and data bases, and interacting with other business’s for all home needs (lawyers, movers, home inspectors, bankers, contractors, decorators, landscapers, etc.) The position itself trained Boyd to be innovative, resourceful and driven, skills that he has carried over into his career in real estate. Why choose Boyd as your realtors? Boyd understands that buying or selling a home at any stage and age in life can become stressful. With years of expertise, he can ease you through the process and make home buying or selling a memorable, enjoyable experience. Well done, Boyd. Congratulations! It turned out to be a smooth and successful endeavour! You were certainly the right person at the right time and we greatly appreciate all your time and effort! We can’t thank you enough for being so kind and accommodating to us. You made a sad and stressful ordeal into a good experience. Thank you most sincerely! Marilyn & Bob W.
Peter and I would like to express our sincere appreciation and thanks in the way that you guided us through the sale of our house. If it wasn’t for your experience we know we wouldn’t have reached the high value that you obtained for us. Thank you for your helpful and caring attitude and also the patience and professionalism you showed us throughout the week.